Counted amid one of the favoured business enterprises, we are readily indulged in presenting HTML Sites development. These sites are search-engine friendly and offer comparatively good ranks in the results of various known search engines. They can also be downloaded quickly. Our crew is very much experienced in developing websites of different kinds, based on different technologies and platforms. We partner with our clients to understand their business, their core competencies and the objectives they want to achieve from a professional online platform. This helps us to use the creative minds at highest efficiently to ensure that the customer’s vision and objectives are being met effectively. published in writing and securely bound, were your own major source of info. It started to take a great deal of effort and reading to seek out the exact part of info you had been after. These days you may open an internet browser, jump over to your own search engine of preference, as well as search away. Any specific little bit of conceivable information sets whenever you need it. And also chances are high someone someplace has built a site with your precise search in your mind. Before we start our journey to discover ways to build web sites with HTML and CSS, it is very important to recognize the differences between the 2 languages, the syntax of each one language, as well as some popular terms. 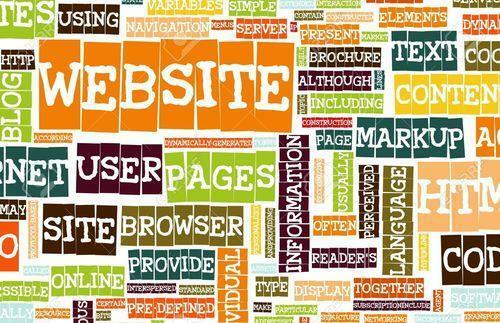 While having began with HTML, you are going to likely come across new and frequently strange terms. After a while you are going to become much more and more knowledgeable about all of them, but yet the three typical HTML terms you must start with are elements, tags, and attributes. The usage of less-than as well as greater-than angle brackets around a component produces what exactly is referred to as a tag. Tags most typically appear in sets of opening and closing tags. An opening tag marks the starting of a component. It offers a less-than sign followed by an element’s term, after which lasts with a greater-than sign. A closing tag marks the end of a component. It offers a less-than sign and then a forwards slash as well as the element’s name, after which ends with a greater-than sign. Attributes are elements familiar to provide other details about a component. The most popular attributes consist of the id attribute, which recognizes an element; the class attribute, which classifies a component; the src feature, which specifies a resource for embeddable information; and the href attribute, which offers a hyperlink recommendation to a linked resource. We “ITXITPro (IT BY IT Professionals)" are leading and notable firm that is engaged in rendering reliable services such as Creative Design, Web Development, Digital Marketing and Enterprise Solution. Incorporated in the year 2014, we are able to set benchmarks in the domain by rendering the best in class services to our renowned clients. Holding deep knowledge and vast experience in this domain, we have been able to offer highly reliable service to our patrons. The services, rendered by us are widely acclaimed for their hassle free management, reliability, client-centric approach and on-time execution. These services are carried out by our experienced technocrats who incorporate innovative ideas to provide the best application services. Our team members are highly devoted towards their work and play an important role in the development and growth of our organization. Owing to the support and positive attitude of our workforce, we have been able to achieve a high position in the market.